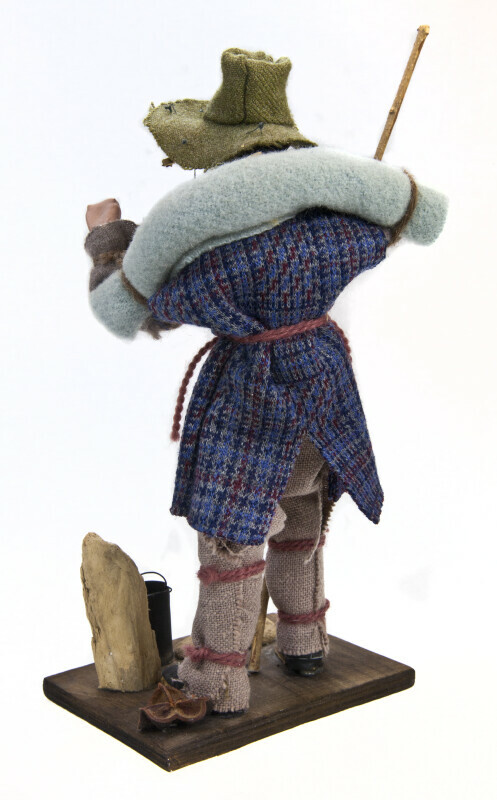 The back view of this handcrafted Australian swagman shows the wool bedroll on his shoulder. He also has a wool hat with corks hanging from it. He is made with a wire frame, covered by cloth. His hands head, and feet are made from clay. He has yarn wrapped around his waist and his legs. This figure stands 8 inches (20 cm) tall.